reflecting glaze, shiny and smooth or with the glaze craquelure. 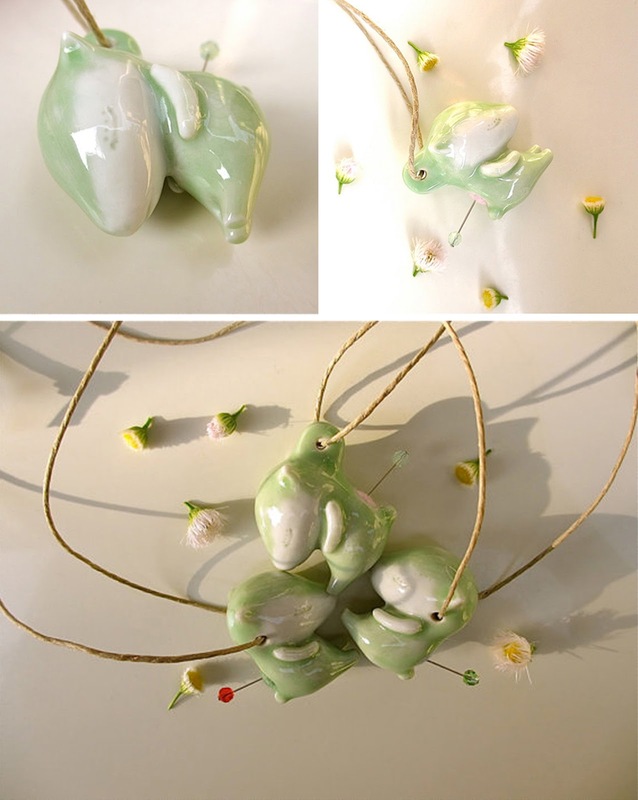 Artists have so many possibilities to express themselves in clay! 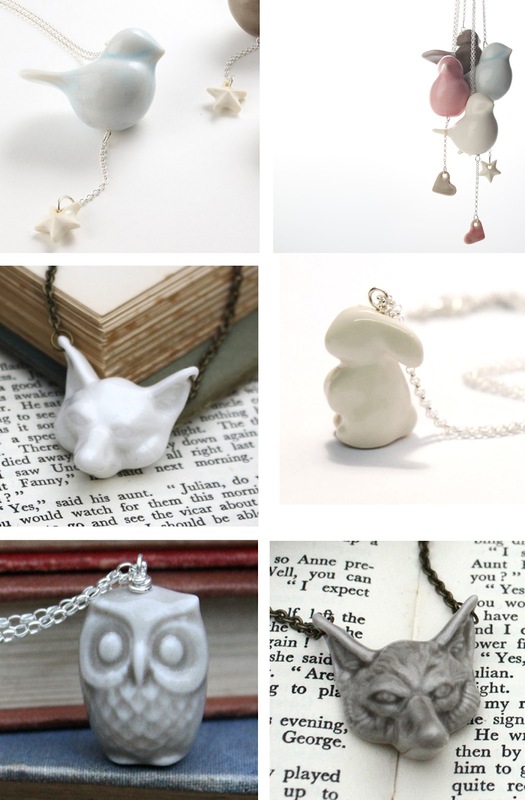 Present to you a small overview of beautiful porcelain necklaces from wonderful Etsy artists , whose works I admire for some time. 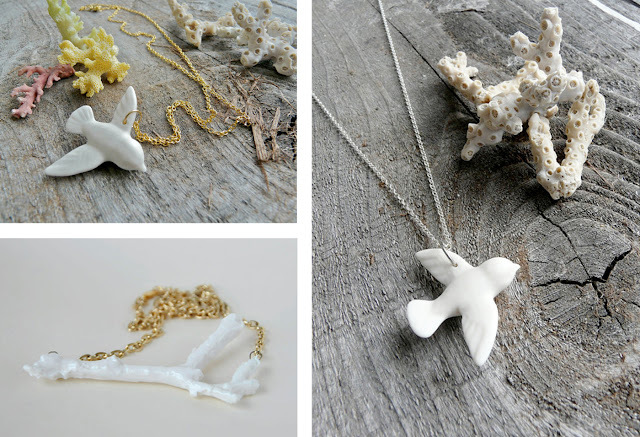 Look at all this porcelain wonders! You don't need to leave them on a shelf collecting dust, you can carry them with you! This porcelain pendants are shaped like a victorian mirror . 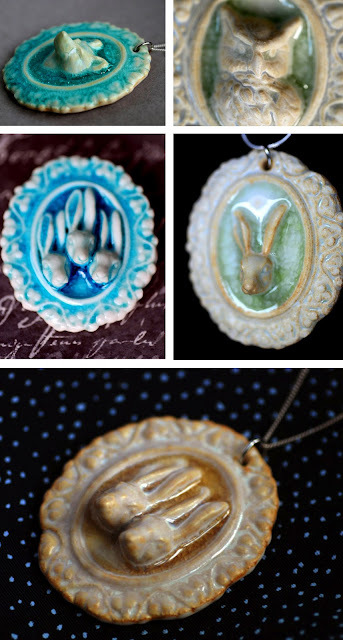 Look at this pieces of art - amazing owl, rabbits, wolf pendants by Poodlebreath. I'm in love! 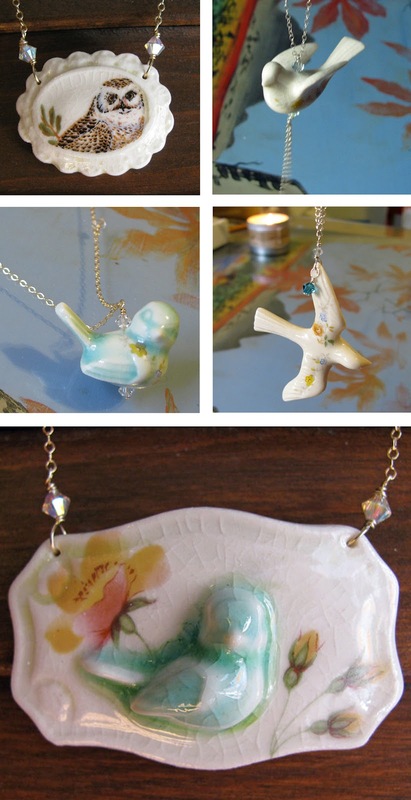 Porcelain birdy neckaces by Shendoe. I love vintage ceramic decals here. Oh my Gosh! I am breathless and wordless... I am in love! Especially with Alleluja and Madebymememe - simply amazing! Thank you for sharing!